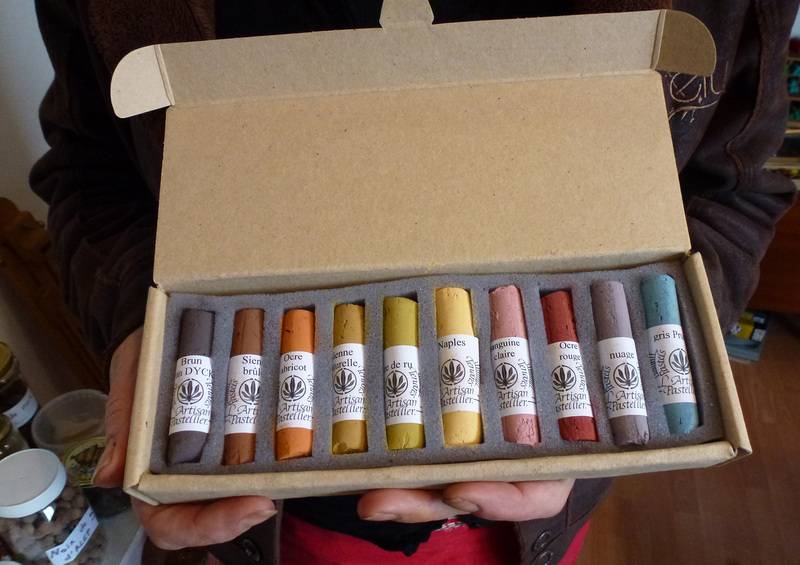 I discovered Artisan Pastels a couple of years ago during a visit to Albi and bought a few sticks to try. 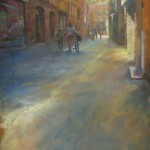 They quickly became some of the most useful pastels in my box, due to their rich colour and their resistance. Having spent this winter working mostly on oil painting, I was looking for a new approach to pastel, which could allow me to more closely imitate brush work. In April I met Didier Boinnard at the Salon de Realism in Soual and he invited me to visit his workshop where he was in the middle of mixing pigments together to find new, more neutral toned pastels to add to his artisan range. I have chosen 10 colours which I’m proud to say, are now on sale as the ‘Penelope’ box. This box is now for sale for 32€90 from Artisan Pastellier, click here to discover their site.